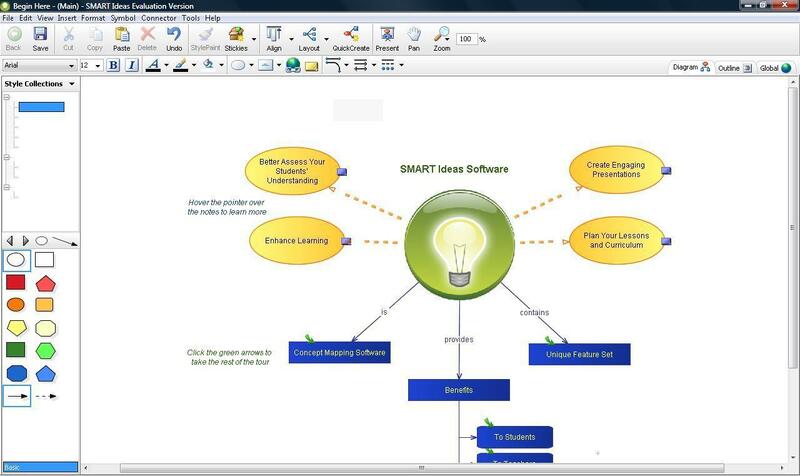 SMART Ideas is the name of an application used to create multilevel concept maps. The apps of this type are also called mind mapping tools. It can help you create various diagrams and connection paths for your projects. You can see the example in the image below. Visit the application's page on Software Informer to look for additional information. You can create multilevel concept maps that take students through concepts one step at a time for greater clarity. And convert the maps into a multipage website for everyone to share.